Hi dolls I hope you are having a wonderful day. Today I would like to share with you my favorite lipstick at the moment. To those of you who adore makeup as much as I do, I’m sure you’ve heard of Nars Audacious Lipsticks. Every single lipstick has a female name, which I think is super cute. Unfortunately, if you have somewhat of an uncommon name like me, you might be unable to find one lipstick named after you. Even so, the lipstick itself is absolutely stunning and I can’t wait to share with you why I adore it so much. The one I picked up is called Olivia. An interesting side note, my favorite celebrity/socialite/style icon is Olivia Palermo, which makes me love this lipstick even more. But aside from the name, the formulation, lasting-power and the color of the lipstick is outstanding. Let’s start with this specific color. 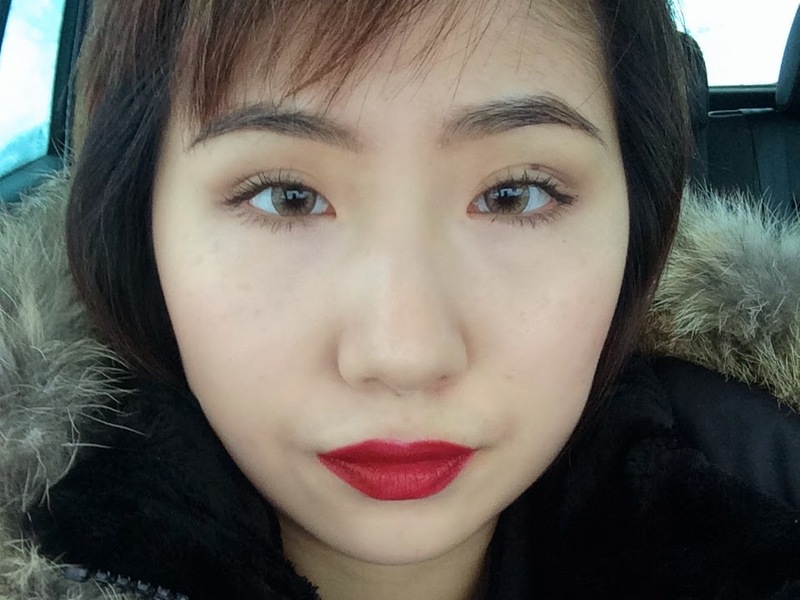 I’ve been extremely into red lipsticks lately, especially the ones with a deep undertone. This lipstick is described on the Sephora website as “garnet”. I would describe the shade as an in-between of pin-up red and burgundy. In my opinion, the shade helps brighten my complexion, makes my teeth appear whiter and is perfect for this time of year. 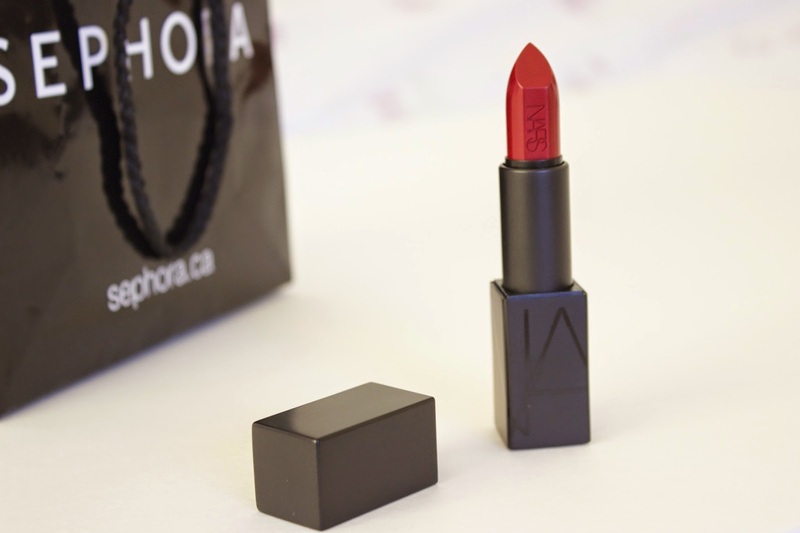 Next - the formulation: this lipstick is extremely pigmented, one layer is perfectly opaque. Although this lipstick sets into a matte finish after a while, it’s not drying on the lips whatsoever. In fact, when you first put it on, it’s extremely creamy and somewhat moisturizing. Although of course, it’s not as moisturizing as YSL Rouge Volupte. The matte finish, as you could imagine, definitely helps elongate the wearing time. Just to give you a concrete idea of how long this lipstick lasts, I applied the lipstick at 7:20 in the morning, after a cup of coffee, 2 nutrition bars and half of bottle of water, the lipstick still looks perfectly fine. I’m so in love! And of course, the beautiful magnetic packaging and the Nars logo on the bullet don’t hurt either. Overall, I highly recommend the Nars Audacious lipsticks and I will definitely be picking up more in the near future. lovely color, great wear time and perfect packaging sign me up! This just went on my to buy list!